Having a constant stream of viewers for your YouTube channel is very hard especially if you are just starting. There are many dedicated YouTube channels, which have gathered so many subscribers over the past years. There is no easy way to gain a constant traffic of 2,000 viewers, but there is a smart way to do it. You should take time on planning your YouTube channel. Plan it overall, what it is about and who will be the audience. Aside from planning your channel, plan all your videos. Strategize and conceptualize what you want. Make sure that your videos are not confusing. Most beginners tend to mimic all trending YouTube channels. But don’t do it. You should know what you love and do it. It will be the fuel that you will need to continue on with your YouTube channel even if all your views are from yourself. Your content must not be boring. From the perspective of your audience, they are watching videos to relax, learn, or be entertained. Make sure to meet those expectations. Make it entertaining and consistent. You don’t want to bore your viewers halfway through. YouTube subscribers are consumer beasts. They always want more content. What you need to do is to meet their demands. A channel that does not have that much video is a boring channel. 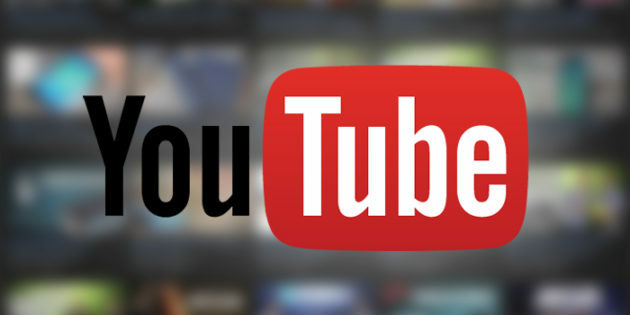 You may have to make ten or more videos before having your first subscriber. But don’t falter. Even if you don’t have many viewers, be strict on your uploading schedule. You can try one per week or twice per month. Having a strict schedule will help you in the late game. Title is a very important part of a YouTube video. It is what the viewer will first see. Provide engaging and quirky titles. Having that out-of-this-world title can make viewers click it. Fill their curiosity with original and appealing titles. However, that is not the only way to gather that 2,000 views that you want. You must also learn to make SEO titles. Combined with your original title concept, you can create a title that can appear on related searches. 1. Use your keyword in the title. 2. Try to find what most people are searching online. 3. Make your title short. 4. Don’t use video’ in your title. Let your viewers think that you are professional. By having a customized channel, you can deliver that originality and dedication. If you do, viewers will definitely trust you and hit that subscribe button. Using a custom channel art can boost the overall fell of your channel. Make sure that it is related to your content. You can also change the background header to match your motif. Also, you might want to include your bio and change the custom URL. It will elevate the sense of originality of your YouTube channel. Instead of letting YouTube pick a thumbnail for your video, why not upload one? You see it all around. YouTube creators all agree that putting a custom video thumbnail can increase traffic in your YouTube videos. Engaging thumbnails will even double your viewer traffic. You can use annotations or relevant images for your video. It is just like the cover page of the book. If you don’t have a custom video thumbnail, you don’t have a cover. Where can you find a good book without a cover? Put your image editing skills to use and make that engaging thumbnail that will attract many views. If your channel is already racking up some viewers, make sure to do a good channel trailer. It will automatically play when someone goes to your channel. It can be about yourself, about your channel or your most engaging content. Either way, this channel trailer will give the viewers a first impression about your video. Once you stop, it’s all over. I know it’s frustrating at first. You will sometimes lose your drive and motivation to continue. But whatever happens, don’t stop. Make making videos your passion and you will easily rack up that 2,000 views per month.